Risiang is a small village with 50 families in West Khasi Hills District of Meghalaya. Risiang along with 30 other villages was connected to the rest of the state through a bridge over river Wah Umiang for day to day thoroughfare. 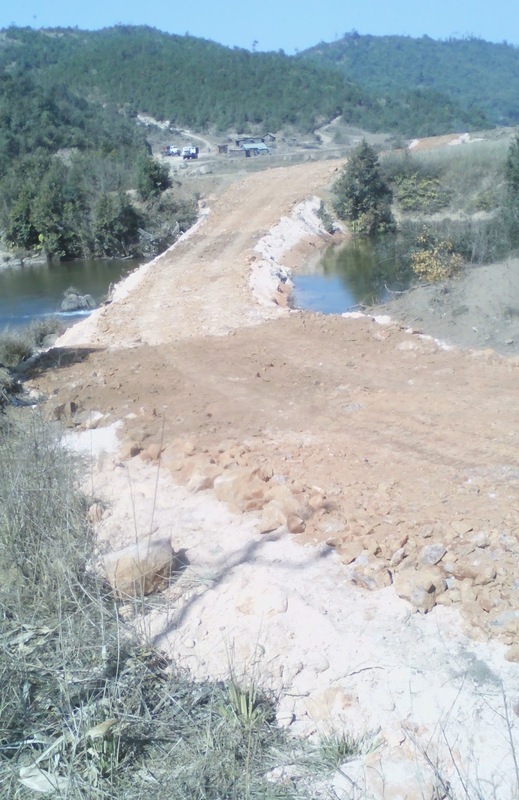 “This bridge has been our lifeline and we depended on it to be connected to the rest of the world”, said Stephan Marthong, the Sirdar of Risiang. The people of Risiang are primarily agrarian and depended on agricultural production for their sustenance. Risiang is also a project village under FARM Northeast II implemented by Nongstoin Social Service Society (NSSS). “We could observe a positive response from the community after we initiated the FARM Northeast II in Risiang” said Brolius Marbaniang, Coordinator, NSSS. Team NSSS has been working hard in making the people realise what they could do through collective and also what rights they are entitled to. It was so far so good with Risiang until on a chilly winter night of 7th January 2017 some miscreants burned down the wooden bridge and damaged the structure completely. This resulted in a disruption of communication to the rest of the world by the people of Risiang and 30 other villages. The villagers of Risiang woke up to their shock on the morning of 8th January 2107 when the discovered that bridge has disappeared. “We were shocked beyond our imaginations when we saw the bridge being completely by arson committed by unknown people”, said Justine Lyngdoh, Secretary of Risiang of village. Under such circumstances the normal behaviour of the people would be to be in in state of shock and panic but that wasn’t the case here. Having learned the benefits the benefits of collective action the community of Risiang decided otherwise. The Sardar (Headman) of the village was leading the people from the front. “Had it been not for friends from NSSS come here and helped us in building confidence we would not have thought the way we did that day”, said Bhalang one of the active member of Risiang village. 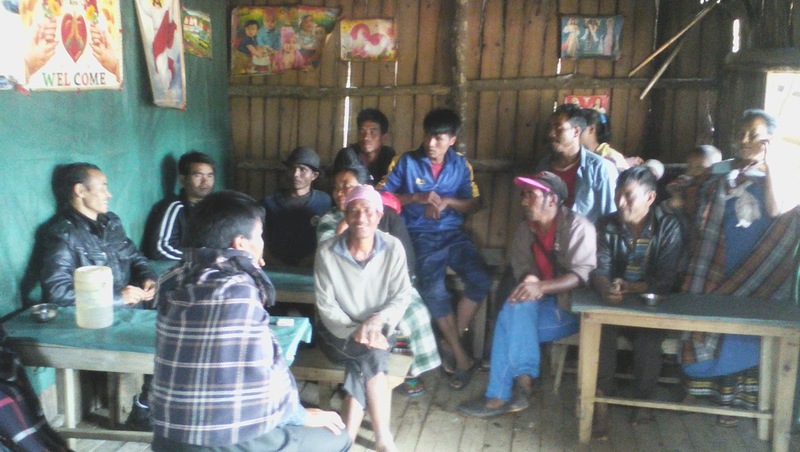 The village elders together with the young and all sat together on 8th January and decided first to lodge an official complaint to the police and the Deputy Commissioner of West Khasi Hills District at Nongstoin. “We decided to lodge the complaint officially but an immediate makeshift arrangement in was the need of the hour”, said Franco Puwein of Risiang of village. The Headman made an appeal to one and all to help in constructing a subway in lieu of the bridge as the communication was very important given the fact that the bridge was the lifeline. The work started the very next day. The community came together and started working on making a subway to cross the river. “Without wasting time we devoted ourselves in working for the whole day in making the subway”, said Ms. Victoria Kharjahrin, one of the active female member of Risiang village. People worked for one single day on 9th January and by evening the result was visible! It was about working collectively and taking decisions that Risiang was again connected to the rest of the world.